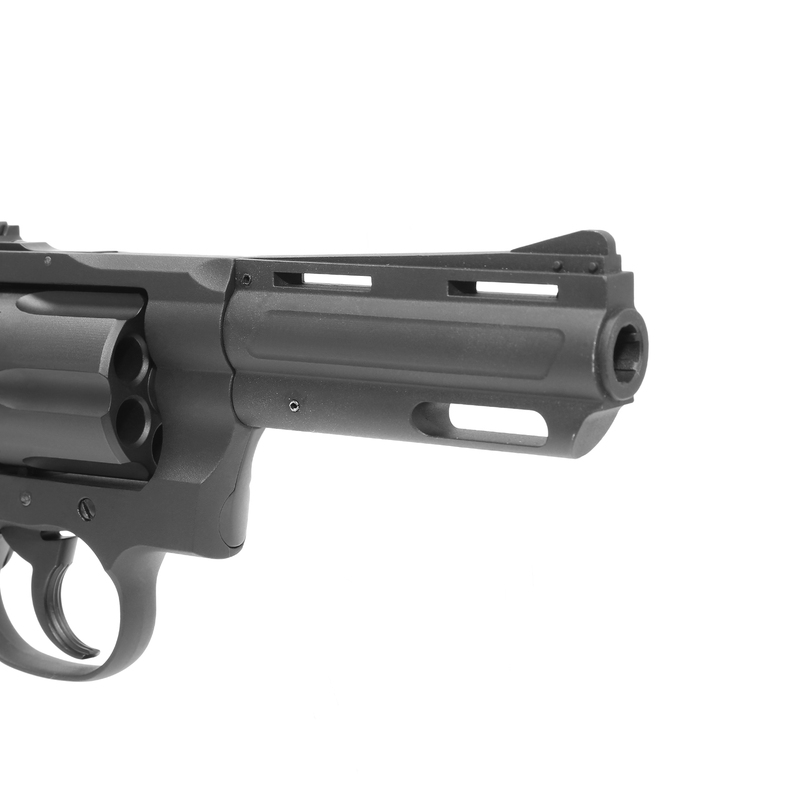 This Python 357 CO2 Airsoft Revolver is full metal construction by King Arms. 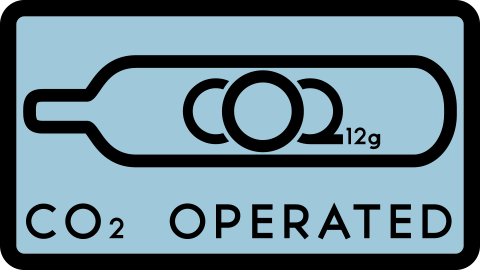 The CO2 powered airsoft pistol is using CO2 gas as a propellant. 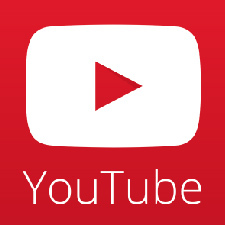 It shoots hard and fast and is extremely life like. - Japanese experienced engineer re-designed the internal gas flow mechanism to make the revolver’s outlook much more realistic. 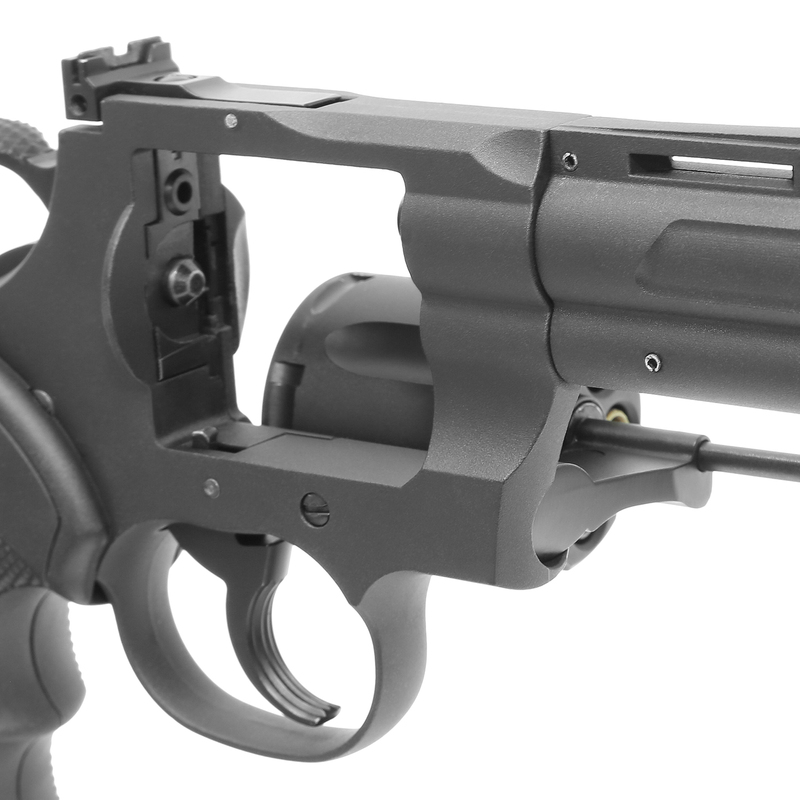 - Whole revolver is constructed by metal, it gives a very concrete and rigid feels. 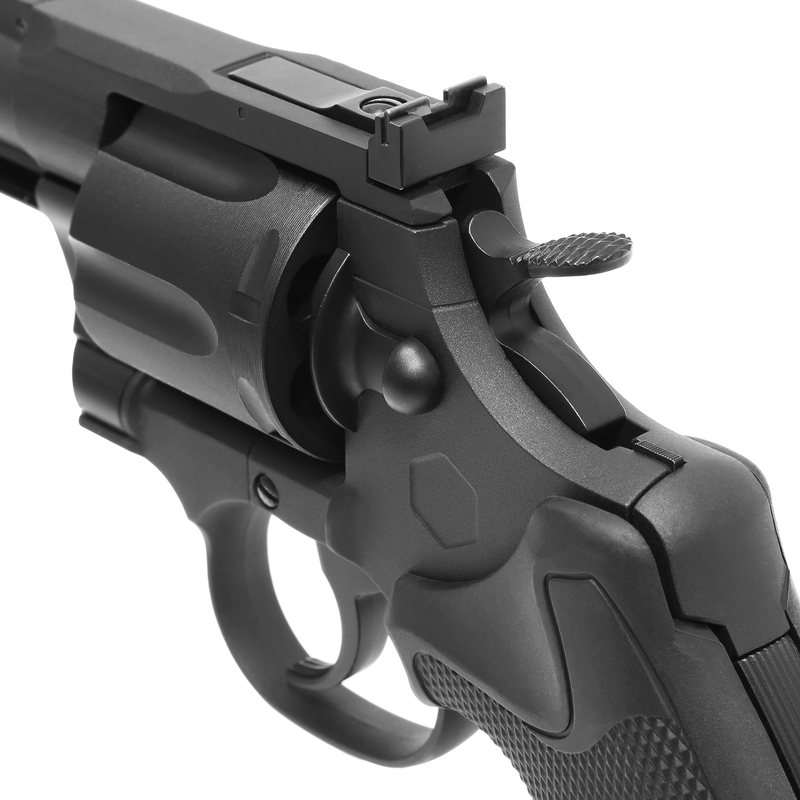 - The revolver goes through a EDP (Electro Deposit Primer coating) process providing better surface finishing. 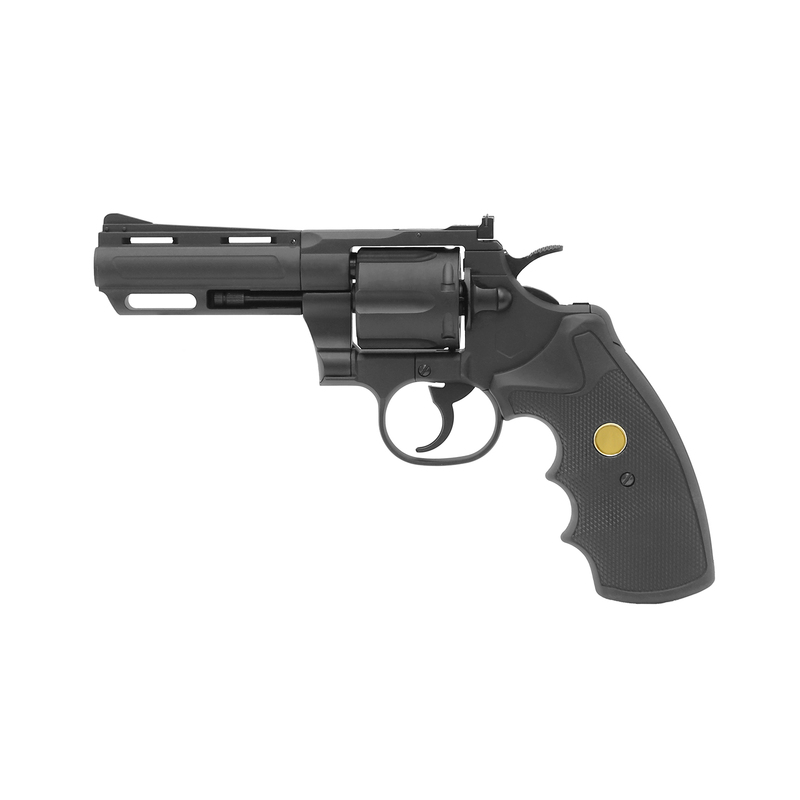 - Stylish CNC hollow oval barrel design makes your revolver looks unique among others. - Smooth and precise brass internal barrel in 6.05mm inner diameter. Makes the shooting trajectory constantly precise. 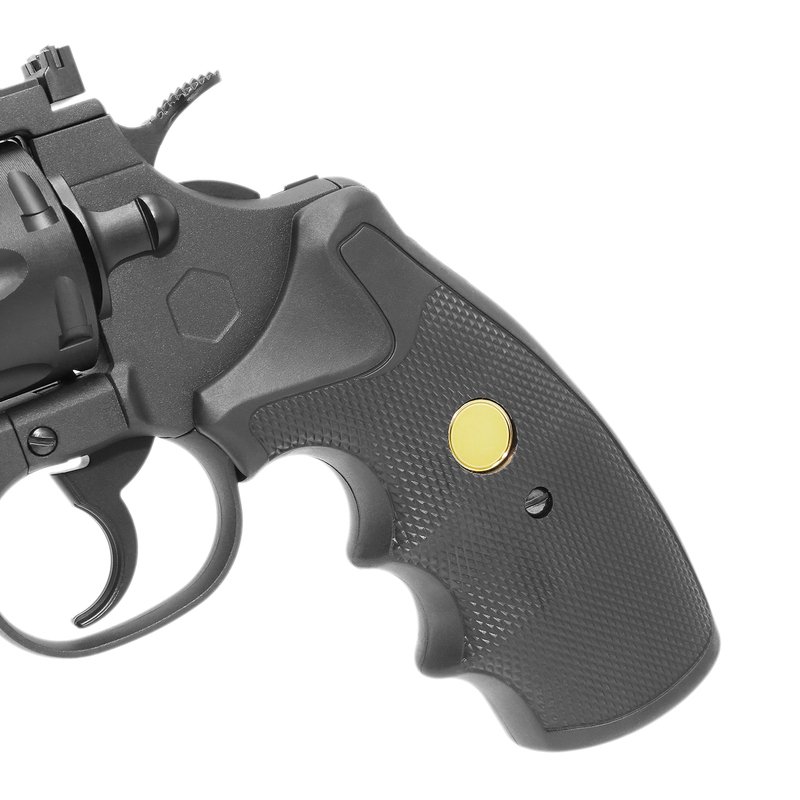 - Ergonomic, textured rubberized grip offers the operator maximum comfort and control over the pistol. - An eye-catching golden plate decorating the grip. - CO2 cartridge can be changed easily by using HEX key or coins to screw the end cap. 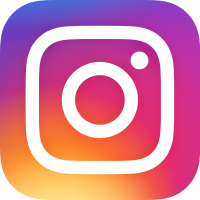 - The metal cylinder can be opened easily in order to reload bullets quickly, just a flick to snap back it into the frame with a solid click. - Bullets can be removed fast by pushing the bullets extractor rod. 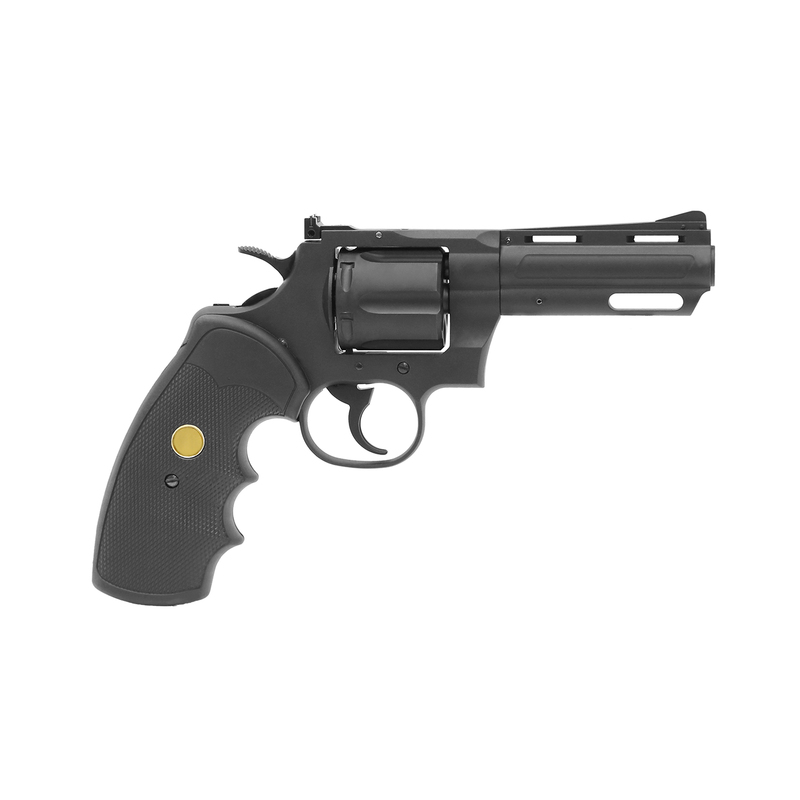 - Compliable to operate under both double-action and single-action. 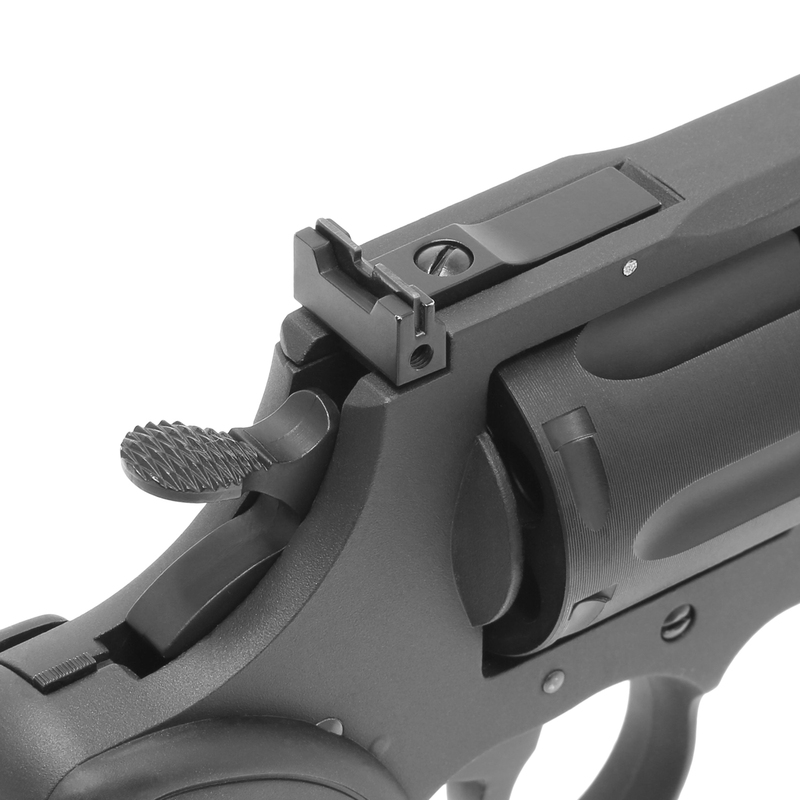 - The metal fixed front sight and adjustable rear sight helps shooter acquire the target quickly. 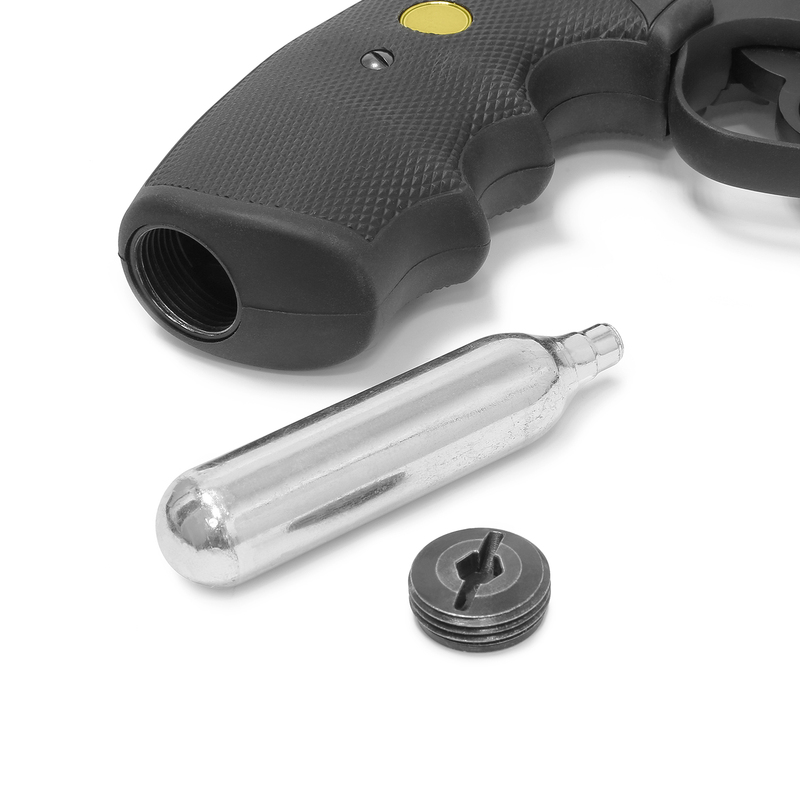 - Easy to reach safety button lockup the hammer to avoid accidental fire while not ready to shoot. - Heavy brass-like finishing shells with high compression rubber bb retainers. 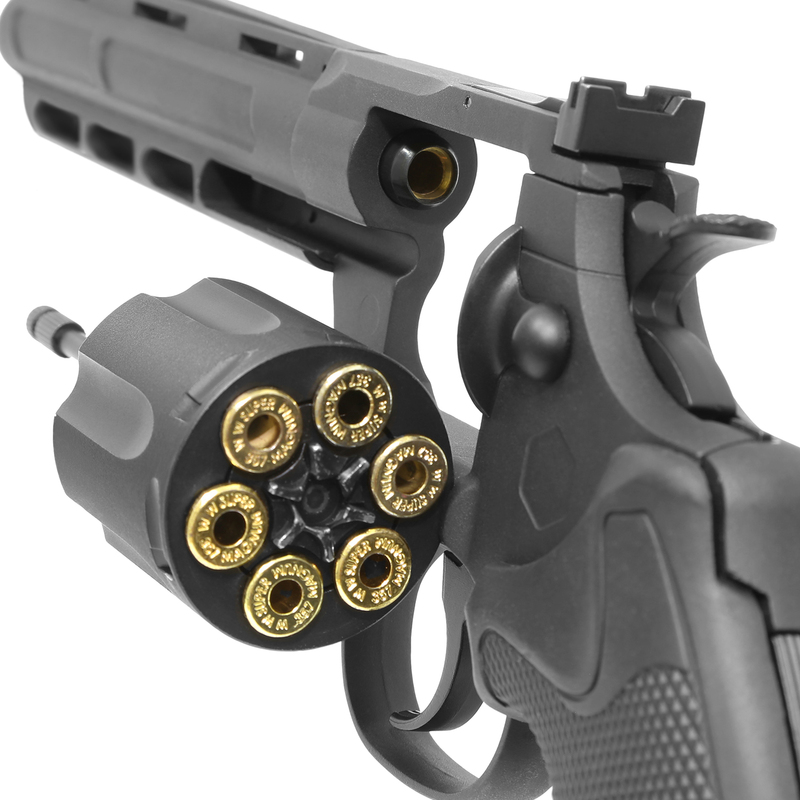 - Package comes with shell speed loaders for fast reloads, and 6 BB bullets shells. 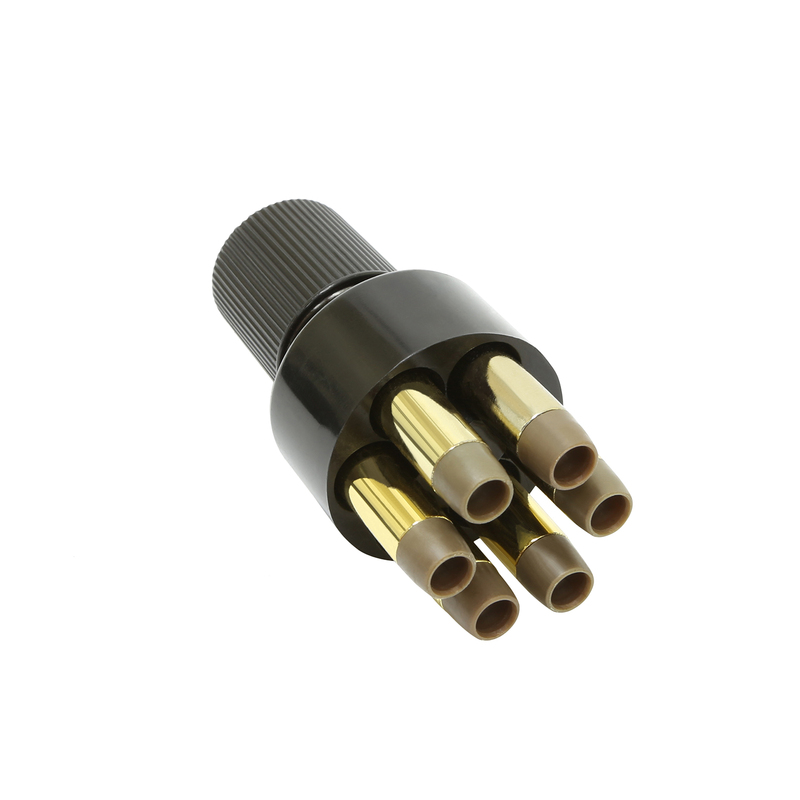 - Available in three difference barrel lengths to suit your preference.